Time-aware rating predictors use the information contained in the dates/times of the ratings to build more accurate models. They may or may not use time information at prediction (as opposed to training) time. 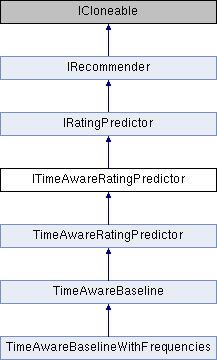 Implemented in TimeAwareBaseline, TimeAwareBaselineWithFrequencies, and TimeAwareRatingPredictor.